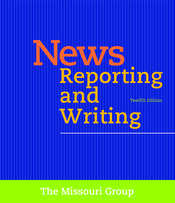 In the Workbook for News Reporting and Writing, Twelfth Edition, we have focused, as we have in the text, on the challenges journalists face in the evolving journalism of the 21st century. The strengths of the text and the Workbook are similar. Both are newly reorganized to emphasize emerging multimedia reporting and the integration of multimedia reporting into all aspects of journalism. In both, we provide explanations and exercises to help you understand and develop the attitudes and skills required by the multimedia work environment. We do this while maintaining our emphasis on the basics. The exercises in the Workbook provide additional opportunities to apply your new skills to both reporting and writing for new as well as traditional media. 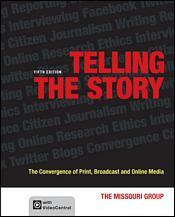 The Workbook for News Reporting and Writing is thoroughly practical. Its exercises are tied directly and clearly to the principles explained in the text. The exercises here provide more variety and allow for more practice, especially with the computer as a learning tool. Perhaps the most valuable experience these exercises offer is the class discussions that will inevitably follow. Each chapter includes at least one challenge exercise, which asks you to test your skills on a more advanced level. These exercises also focus more sharply on technology and writing for multiple media and on using critical reasoning skills as a journalist. In addition, three appendices provide additional practice in grammar and punctuation, wire-service style, and use of copy editing and proofreading symbols. Finally, a fictional city directory allows you to conveniently hone your investigative skills as you work through the exercises. It’s up to you to determine when to use the directory in checking facts and investigating stories.